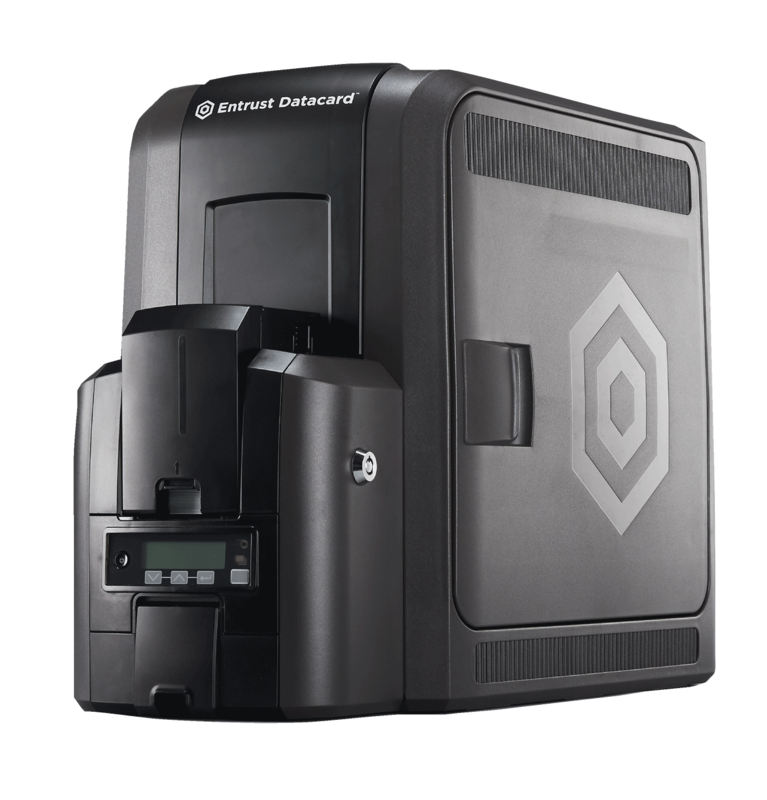 The Entrust Datacard™ CR805TM card printer gives customers a complete, on-demand card printing solution with stunning color, card material flexibility, security features and durability they need to create virtually any type of card for their customers, citizens, and employees. A stunning, high-end look for every card design. Create cards that stand out from the crowd — pigment ink provides photo-quality imagery, stunning resolution, and extreme precision. Show off your brand to the world with brilliant, eye-catching card designs, and print lifelike skin tones for more accurate photo representation. The versatility of the CR805 allows you to print everything from corporate badges and school IDs to driver’s licenses and other high assurance IDs. Issue more durable cards, and save on replacement costs. Pigment ink provides longer lasting images, due to its natural resistance to UV fading and the effects of plasticizers. Plus, enhance the durability of your card with the CR805 card printer by adding an additional layer of retransfer film to the card. Even greater security and durability features — like tactile impressions — are available with the addition of the optional lamination module. Use card substrates that work for you. With retransfer printing, you can print on the card material that meets your needs and budget. From PVC to PVC composite, PC, or PET card types, the CR805 handles it all with ease. Print-on-demand. Print exactly the design you need on-demand, eliminating the need for pre-printed card stock. L 21.4 in. x W 10.1 in. x H 15.6 in.